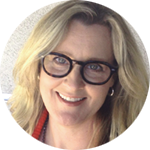 Annie Price is an award-winning DGA Director and unscripted EP/Showrunner with extensive experience directing single-camera comedy, documentary, reality multi-cam, and talk. She has produced TV series and specials for ABC, Lifetime, TLC, WEtv, and OWN: Oprah Winfrey Network, as well as expertise in producing unscripted docu-series. Previously Annie worked as a Senior Producer for The Oprah Winfrey Show in Chicago and produced and directed Oprah Winfrey personally on many of her highest profile programs. Annie also is an award-winning documentary writer and director, and has won several film festival awards for scripted comedy shorts she wrote and produced. She has also produced over 75 music videos. Annie holds a M.S. in Journalism from Columbia University Graduate School of Journalism. She is a member of the Director’s Guild of America, and has won two Emmys for writing and directing. Once upon a time she was a chick singer in an 80’s cover band, and is a graduate of the famed Second City Conservatory of comedy improvisation.